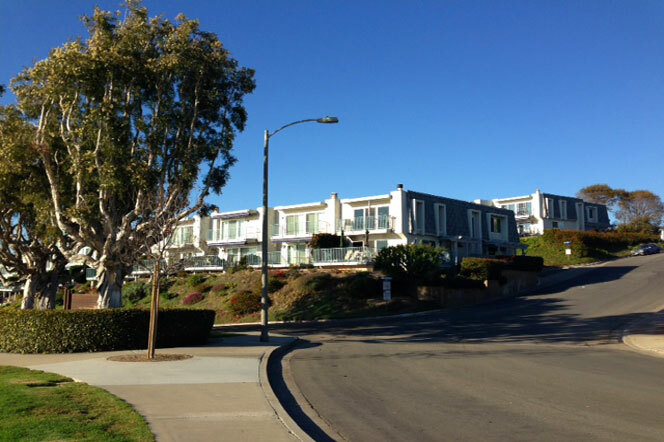 The Dana Bluffs community in Dana Point is considered one of the best view condos in the Capistrano Beach area. 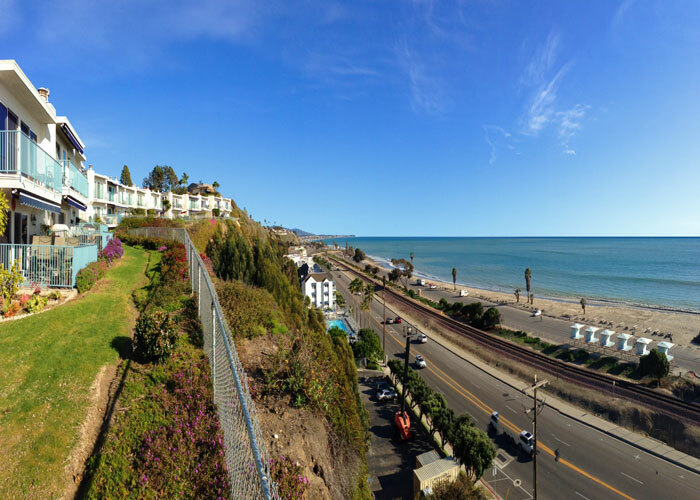 The homes sit majestically on the cliff and have direct views of the Doheny Beach and the Pacific Ocean as pictured above. Select condos in the community will have views of the beach and the white water crashing on the sand. All the current available Dana Bluffs condos for sale and for lease are listed below. I have sold condos in this community and know these condos very well. Please contact me with questions and to set up a showing for any of these properties. 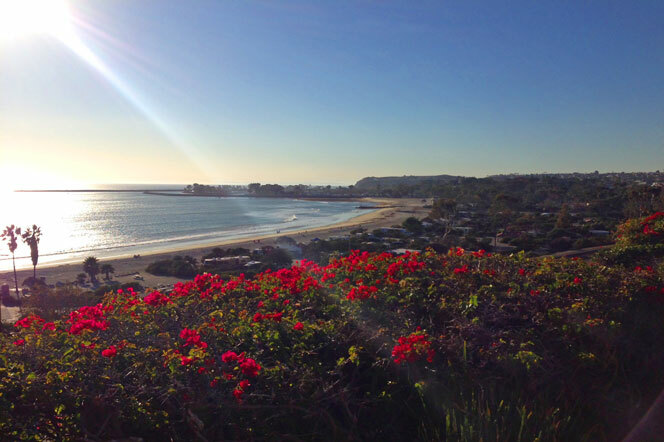 The Dana Bluffs community is under a homeowners association with monthly dues of $615 a month. 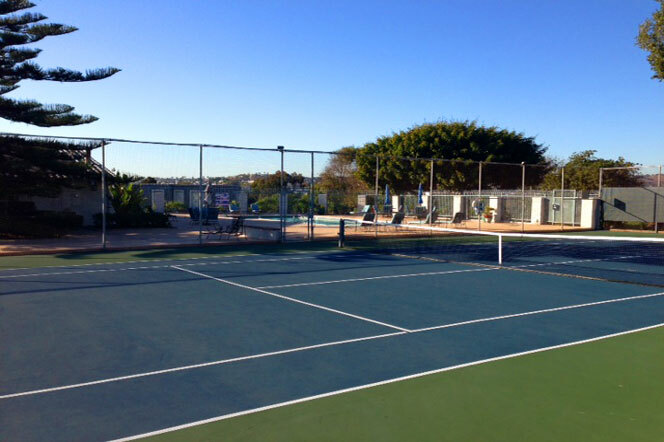 This includes a community pool and tennis court that has recently gone under renovation and is pictured below. The association is also going through the community and updating the decks attached to these condos as well. The condos are built as a two level town home with main living entrainment spaces located on the first level with the bedrooms located upstairs. The floor plans offer Master Bedrooms on the 2nd level facing the ocean with it's own private view deck. The views can be really amazing depending on the location of the property. Since the community is a bluff front property the views are only obstructed by other condos in the community. Condos on the front row will have the most panoramic views.